Posts categorized "books & magazines"
A little while ago I was thrilled to be asked by Mel Goodsell to create a project for a new publication, Australian Homesewn. Last week my copy arrived. 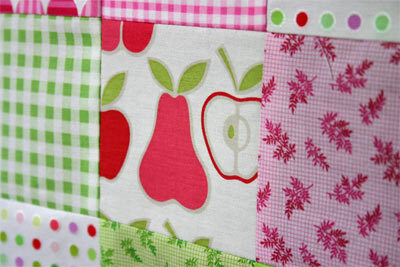 It is just lovely, with so many sewing projects for kids, the home and of course, us girlies. Mel has created so many gorgeous projects for the magazine herself. My brief was to create a stationery set with a matching pencil case, covered note book (which you can see on the cover, above) and a laptop bag. The covered note book was fun to make with a place for your pen on the cover. One of my favourite little details on my sewing projects at the moment, fabric covered buttons. There are full instructions for these three projects included in the magazine. Australian Homesewn is published by Derwent Howard. I've emailed Mel to find out when it will be on sale. To be honest I haven't ventured out over the last week to see if it's in stores yet, but when I find out, I'll report back here. And in other news... 18 months ago I had braces put on my teeth. A little know fact to most and something that has not been well documented in photographs. Well, tomorrow I'm having them removed. YEAH!!! They've done their job. I'm not sorry to see them go, to be honest, but I did get a little sentimental this afternoon that I didn't have much photographic evidence of their existence. So this afternoon I dragged Phoebe outside to have a photo. Yes, a self portrait taken with Phoebe's little digi camera, a quick snap shot, a little memory captured of this little stage of my life. Bring on tomorrow! I seem to have lots of other little things to report on, but have been really busy with family life and birthdays and Ribbons Galore. So I will attempt to post some more little projects very soon. 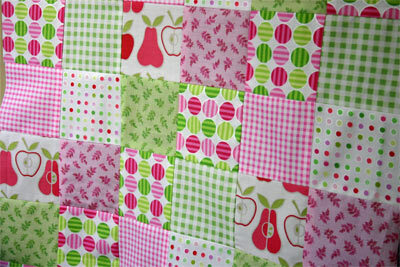 I cut the squares of fabric for her, she started sewing the blocks together. I had trouble keeping up with her, madly cutting the squares to supply her sewing frenzy. She did well, I tried to teach her about matching the seams/corners, etc (reminded me of a project I had to complete from my Clothing Manufacturing TAFE course many years back). Within a few hours she'd completed the patchwork top. She's only 12 and I think she did an amazing job, and I'm really proud of her! We now have to find some backing fabric and the wadding, etc. Then we can finish this quilt. 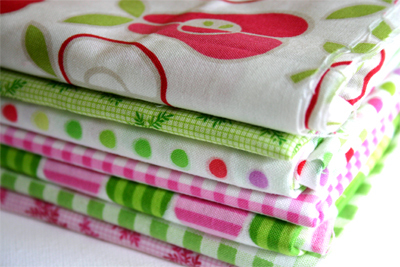 Now if anyone has patchwork/quilting experience, I'm wondering what sort of wadding you use, I'd like to hear what is your preference and why. I've started looking at the different types and I'd appreciate any advise. Phoebe has her fabric picked out, and has already discussed some design modifications from Emily's quilt. I'm looking forward to starting that project next and working with Phoebe. I went to the Craft Fair last week with a friend. I was so nice wandering around. We both enjoy different crafts so I was nice looking at what each other enjoys. I was mainly looking at the fabric stands. Loved the Vintage Comfort quilt on the Amitie stand. Unfortunately the kit was sold out. 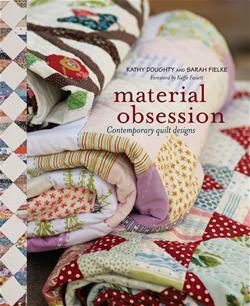 Material Obsession and Quiltsmith both appealed being Sydney based stores, which I'll be visiting very soon. I bought the Material Obsession book, which offers beautiful (and simple) projects, with gorgeous photographs and easy instructions. It was a good book for the girls to look through as well and gather ideas. Well that's about all for now. Life's very busy here with lots of girls things on at the moment. I'm helping to make costumes for the school musical Emily is in. Both my parents are not well, so there's been extra visits to them, cooking dinners, making sure they are OK (thank goodness they live close). And of course ribbon orders are always being packed. Thanks for visiting, thanks for the birthday wishes/emails to Phoebe and myself over the last couple of weeks. We have a very important birthday in our family this weekend. After subtle (and not so subtle) questions from the girls as to the type of cake that would be enjoyed by this birthday person, it was decided that carrot cake would be well received. So here I am cooking today. We are running out of time to prepare the cakes, and tomorrow (THE birthday) is already full with sporting matches and plays, so I thought I'd make the cakes today, so the girls can decorate in the morning. Something occurred to me this morning as I was enjoying my cooking - BY MYSELF. One of the very few negatives of having children (apart from the cost of running them) is that you create cake spoon and bowl licking competitors. I love licking the spoon, the bowl and anything else that has a dollop of uncooked cake mixture. But these days I rarely get to indulge in this pleasure. I have little people who, as soon as they hear the cake tin going into the oven, suddenly appear in the kitchen. And that's if they weren't already there, "helping" with the actual cooking. Today I was able to enjoy a little bit of cake mixture, uncooked, by myself. And this mixture in particular was delicious and rich uncooked. The recipe I used is the Church Picnic Carrot Cupcakes (page 49) from the Crabapple Bakery Cupcake Cookbook. Great book, full of beautiful ideas for cupcakes. OK, I've finished my cup of tea, better keep going, I've got a mini book to work on and some ribbon orders to pack. I'll share some photos of the finished cakes when the girls have worked their magic on them tomorrow. There's another birthday in our house today. My beautiful Emily is 12 years old. We've had the present opening frenzy this morning. Phone calls from Nana and friends. Pancakes with maple syrup for breakfast (Emily's specialty). All very exciting stuff! And the cupcakes have gone to school... all 36 of them. Apparently, not only do we supply cupcakes for the whole class, but all Emily's friends not in her class must have a cupcake too. It's a good thing we like making cupcakes in this house. So last night was the cupcake making and decorating marathon. I have a new favourite cupcake recipe. After years of using the same recipe (and being very happy with it), I tried a new recipe a few weeks back. And it is delicious. It's a Donna Hay recipe. If you have the Donna Hay Modern Classics Book 2, the recipe is on page 54 (cupcakes with crushed raspberry cream, except I don't use the raspberry cream, just the cupcake part of the recipe). Delicious! Have a great day! Thanks for visiting. I bought this idea's book last week and finally got a chance to sit down last night and read it. What a beautiful book Elsie has written! There are 52 challenges, but they aren't "challenging" challenges, (LOL) if you know what i mean. They are fun challenges, some of them very simple, but still very fun and they encourage us to "play" with our scrapbooking supplies. This book is just full of happiness, brightness and fun (I keep saying this book is fun, that is just one great way to describe it). This is a must for your bookshelf! 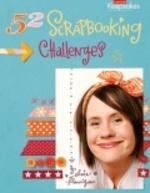 Scrapbooking should be fun :-)) Go buy this book!